Clth, 8 x 10.25 in. / 152 pgs / 66 color / 10 bw. 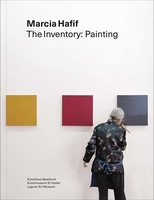 Influential Los Angeles– and New York–based artist Marcia Hafif (1929-2018) is renowned as a painter of canvases that suggest both minimalism and process art. Highlighting the more personal and intimate side of her drawing practice, this book is the first to examine her paintings within a context of many previously unseen sketches, architectural models, photographs and texts that investigate lived spaces, drawing forms and site-specificity. 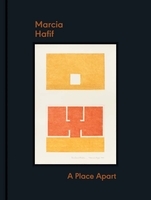 By presenting Hafif's lesser-known oeuvre alongside her painting, this book demonstrates the range of innovative experiments in art-making that Hafif has explored for over five decades. Marcia Hafif: A Place Apart includes rarely seen drawings and photographs as well as text excerpts from Hafif's forthcoming novel. FORMAT: Clth, 8 x 10.25 in. / 152 pgs / 66 color / 10 b&w.